The Graduation to Certification program is designed to be a bridge between educational programs and interpreting agencies. We are looking for agencies willing to host and provide supervision for an apprentice, with support from the grant making this a paid placement. 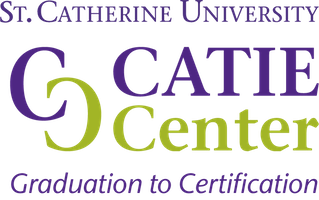 Additionally, the CATIE Center will provide a Supervisor Institute to create a learning experience for supervisors to build their skills and join in a community of practice focused on bringing new people into the field in effective ways. This curriculum will be available to agencies for their use and is being designed with input from a variety of expert sources. If you are interested in this possibility, please fill out our contact form and we will share information as we develop our program and build a network of interpreting agencies around the country.